Enjoying the new pop-up tank, where visitors can get a 360 degree view of the aquarium. 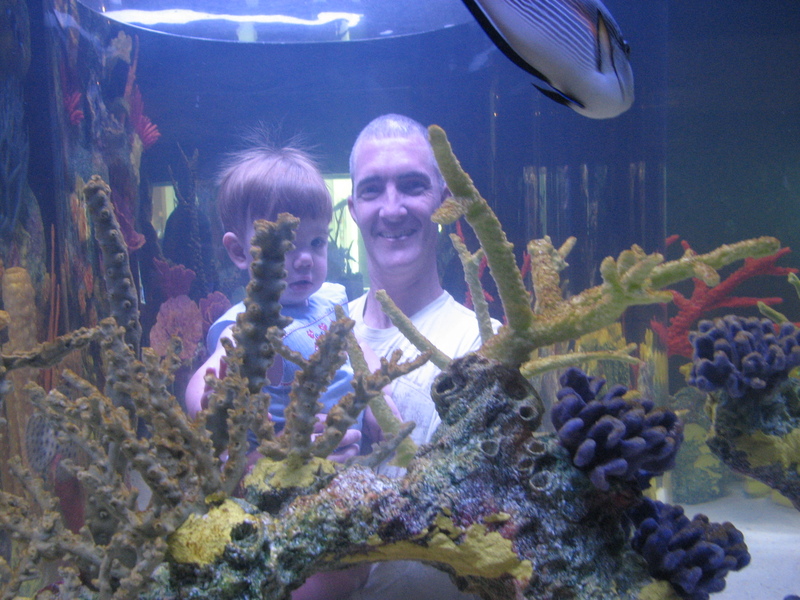 The aquarium “tells a story” beginning with the deep Gulfstream waters progressing through various waters and ending in the shallow fresh waters of the Everglades. The aquarium shows off many different under water creatures, including turtles, sting rays and sea horses. It features a 25-foot long shark tank with barracuda, moray eels and other “predators of the sea.” There’s also a hands-on area for children to touch a starfish, an urchin and other sea creatures. 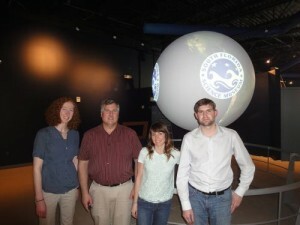 The Science on a Sphere exhibit and the team who installed it at the South Florida Science Center. of a concave, dome-shaped screen, the Science on a Sphere allows to viewer to look at the presentation on a globe. “It’s really cool!” says Kate, “With the push of an iPad, you can look at the migration of Great White Sharks in real time or switch to the historical videos of the hurricanes in Florida from 2005 or visit NASA’s site to see Jupiter’s moons or the volcano on Mars.” Because the data might be a bit hard to interpret to the untrained eye, the best time to see it is the weekends, when volunteer Mark Wiscoff interprets what’s being shown for audiences every half hour. The Science on a Sphere feature is very special with only 93 in the world and just one in South Florida. There’s a new hurricane simulation machine, where a family of about four can stand inside and feel the high-speed winds, experiencing the full force without all of the problems that come along with a Florida hurricane. This one is entertaining, either way, whether you’re observing it or experiencing it! 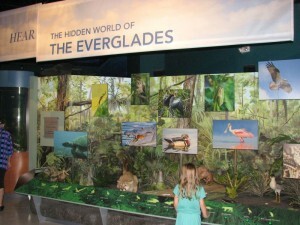 Other new areas of the Science Center are – the Everglades, the Conservation Station, the Student Science Showcase and the River of Grass Exhibit. After an earlier (and failed) attempt to raise a much larger sum of money for renovations, the new CEO Lew Crampton came into the picture and decided to start over from scratch. With a realistic fundraising goal of five million dollars, they hit their goal in just 1.5 years. They completed a renovation on about half of the museum on time and within budget. “We are now hi-tech, hi-touch and have had a complete re-branding!” says Kate Arrizza with quite a bit of enthusiasm. And if you’re wondering, they do plan to do another campaign with a similar goal, with the plan of re-vamping other areas of the museum. In its mission, the South Florida Science Center has a couple of main goals. 1. To open every mind to science. 2. To make that “light bulb” go off in a child’s mind, that spark that possibly makes them go in a new direction in life, according to Arrizza. Studies show that 80% of the fastest-growing jobs in the country are STEM-related (Science Technology Engineering & Mathematics). “There’s not an age too young to get involved in science,” says Kate. Many recent studies have shown that getting exposed to science in preschool is more important than in college. That is why PNC Bank provided an $800,000 grant to do a science program for children ages five and under, which will be a collaboration of the South Florida Science Center, the Young at Art Museum, Family Central and Palm Beach State College. The South Florida Science Center and Aquarium now offers “Science Nights,” (formally called “Nights at the Museum.”) When the movie “Nights at the Museum” came out, a lot of kids were asking, “What happens here at the science museum at night?” And so, they decided to keep the science museum open the last Friday of each month from 6pm to 10pm. With always a different theme, it’s a great time to explore the Science Center. They offer free cotton candy, snow cones, popcorn, crafts and (for a small fee) face painting. Visitors can do a shark dissection (or other dissection). They can go up into the observatory and look through the 14’ Celestron telescope, the only one in Palm BeachCounty. They had a Polynesian night, where they brought in hula dancers. They had a Harry Potter night, where they brought in a magician who did science-related tricks. Visit their site to see upcoming dates and themes for Science Nights. Do you have a budding scientist in your house with an upcoming birthday? 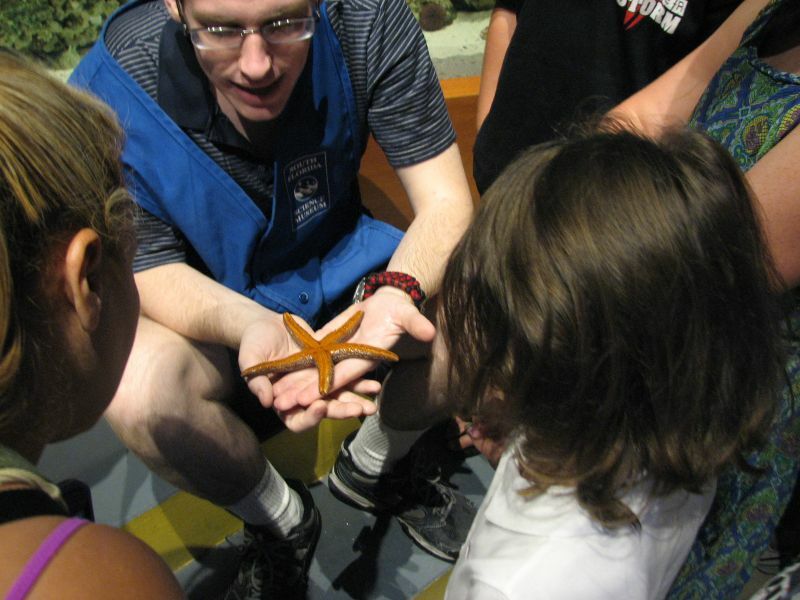 The South Florida Science Center and Aquarium offers three terrific party packages – Science 101, 201 and 301. Children can choose their favorite theme – Diggin’ Dinosaurs, Kabam! Chemistry, Awesome Asteroids, Under the Sea or Science Princess. Birthday parties happen on weekends, using the classrooms, and participants get admission included, as well as miniature golf. For a Diggin’ Dinosaur party, the children dig for dinosaur bones. For the Science Princess party, they learn how to make their own lipstick, mixing ingredients together. The Science Center provides a fun crew to manage the parties, play games, and help serve pizza and cake. They will even provide the cake, invitations and thank you cards. “We try to make it as effortless as possible for parents,” says Arrizza. In the summer, they offer a very popular science camp, week by week. Kids enjoy special weeks of focusing on a science subject, like “Potions 101,” “Build It, Thrill It, Launch It,” and “T-Rex Trek.” Visit their Camp page for the full list of weekly camp themes. What is a typical science camp day like? See C.O.O. Kate Arrizza’s response below. If you haven’t heard, the South Florida Science Center (SFSC) plays a vital role in reaching out to our community, aiming to deliver science to those who might not get enough of it in their formal education. “The informal education piece of it happens here,” says Kate. The SFSC allows young students to set a fire in a Bunsen burner or dissect a shark. They have also connected a cow’s heart to E.K.G. machines, demonstrating how the heart really works. Last year the SFSC wrote approximately $600,000 in grants, so that Title 1 schools could come and visit. 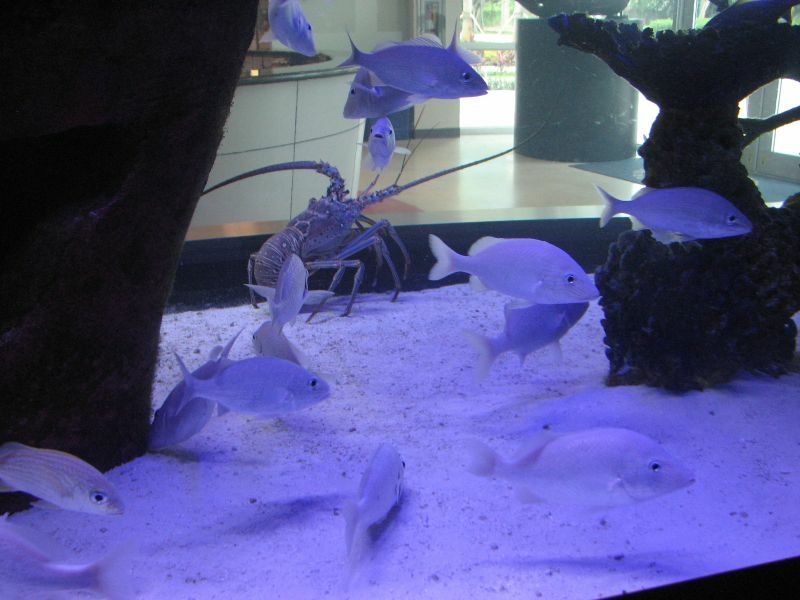 So what’s unique about the South Florida Science Center and Aquarium? It’s the only science museum in Palm BeachCounty. The aquarium and Science on a Sphere are also unique to Palm BeachCounty. Meanwhile, they now offer the largest exhibit hall in Palm BeachCounty, so the possibilities of future, world-class exhibits are endless. Right now they are showing the “SavageAncientSeas” exhibit. Beginning in November, they will present the Titanic exhibit, which is the most popular exhibit on the science museum circuit right now, according to Kate. This is an exhibit that would normally only be seen in bigger cities like New York and Chicago. Thanks to a generous grant from the Quantum Foundation, the SFSC is able to bring it to West Palm Beach! The SFSC is happy to have a total of 150 volunteers. The minimum age to volunteer is 16, and for quite a while they had one, committed volunteer who was about 100 years old. “We value our volunteers a lot!” says Kate. They range from kids doing community service hours to retired people who enjoy the interaction, all with a shared interest in science. 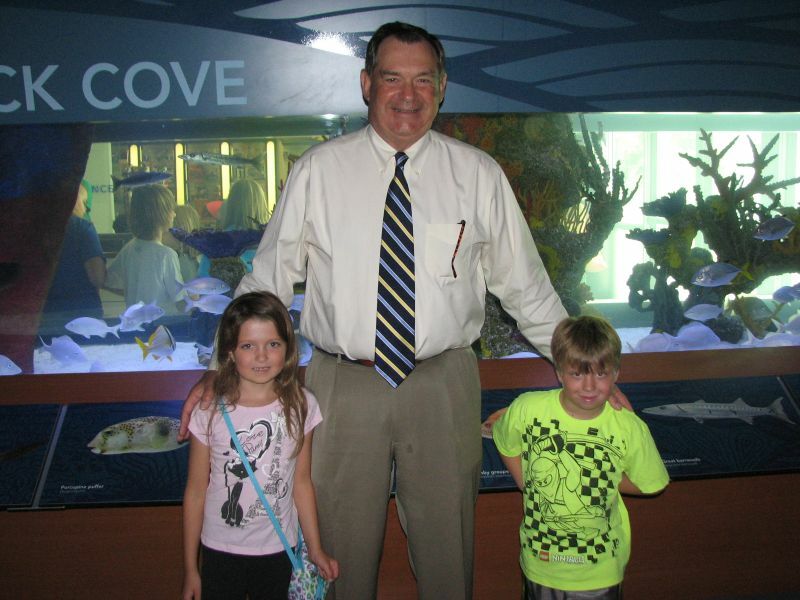 Lew Crampton, CEO of the South Florida Science Center, is happy to talk about the recent upgrades with visitors. 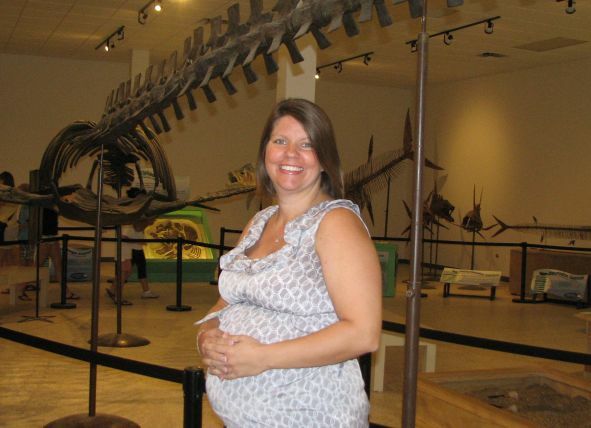 “For a family of four, the membership pays for itself in just 2.5 visits,” says Kate. Membership offers many benefits, including: special membership previews of new exhibits, free admission, discounted admission to special events, free planetarium shows, free miniature golf, discounts in the gift shop, discounts on birthday parties and discounts on summer camp. 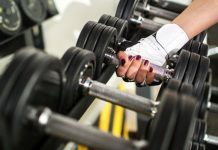 They are also a member of the ASTC – Association of Science and Technology Centers, which offers discounted admission price at science museums and zoos across the country. 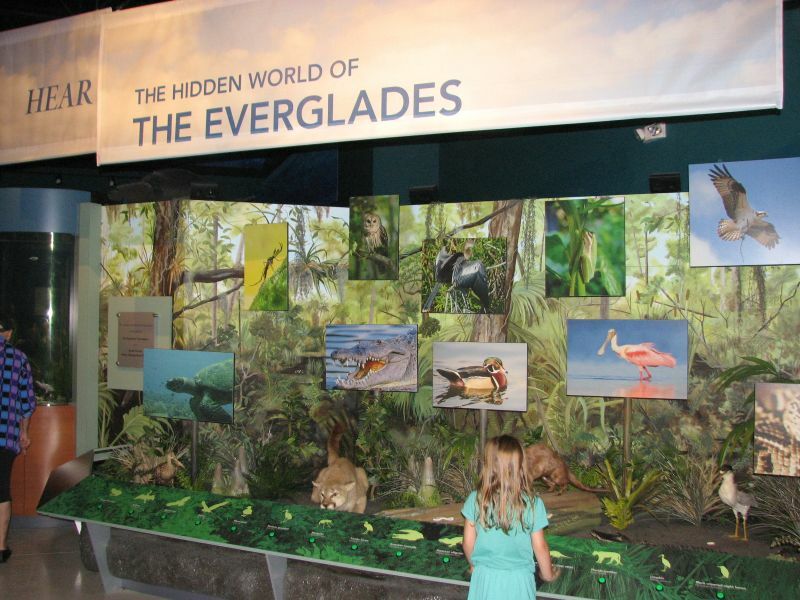 Check out the newly renovated South Florida Science Center and Aquarium, beat the heat and enjoy the new aquarium, as well as all of the other new features!